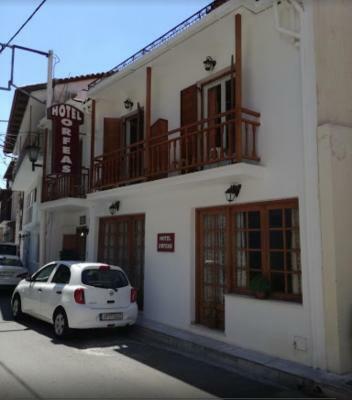 Lock in a great price for Hotel Orfeas – rated 8.8 by recent guests! 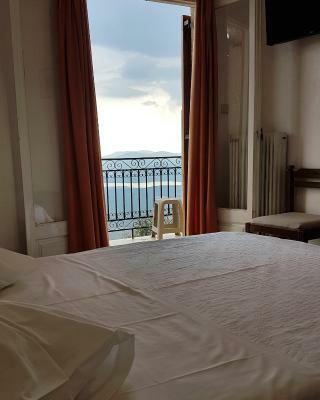 The staff were friendly and helpful, the room was comfortable (but the bed was a bit hard), the view was outstanding; it was an exceptional value. Excellent breakfast included. Owners helpful and friendly. We were upgraded to a big room with a huge balcony and beautiful view - thank you! 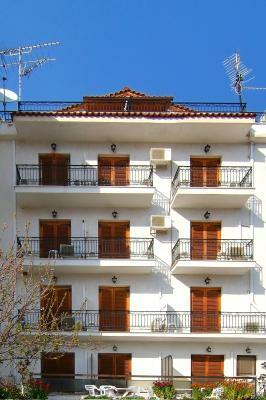 Great location walking distance to shops, restaurants, and archaeological park. Highly recommend! 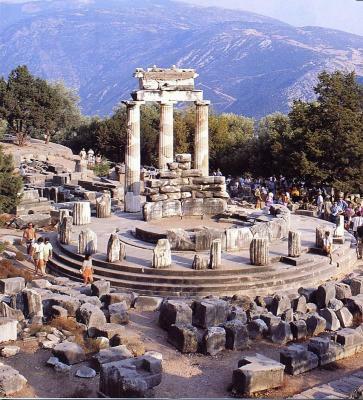 This was a classic way to stay in the ancient village of Delphi. 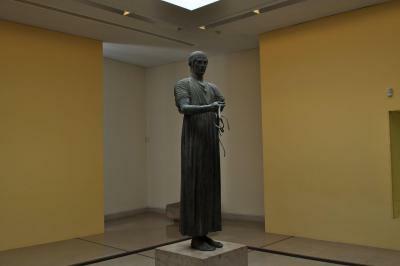 I visited in the off season and had the undivided attention of my host, Dimetrias. This is a small personal hotel with around 22 rooms. The breakfast was authentic Greek and very enjoyable. The hiking in the area has a very marked trail to the Corycian Cave. 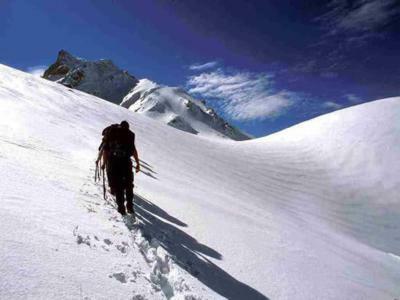 The ascent is strenuous and demanding. The panoramic views are amazing. You can even see the Gulf of Korinthos. The owners of the hotel are really nice and help with anything they can. They described the way to the archeological site and allowed us to store our luggage the last day until we took the 4pm bus to Athens. 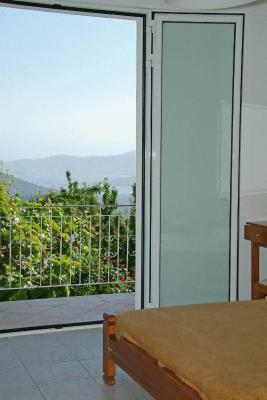 Our room had a truly breathtaking view of Itea and the ocean and mountains around. 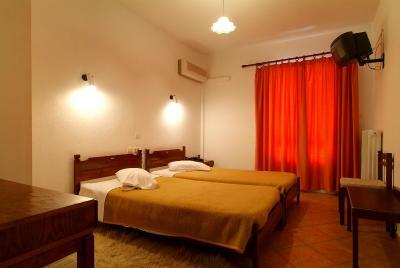 The room was very clean and the bed very comfortable. 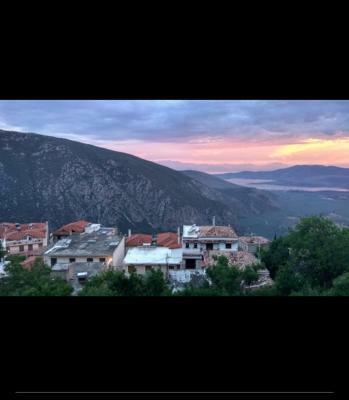 Also, the hotel is in a good location to explore the archeological site on foot as it's only about a 15 min walk away, half of which is in the beautiful village of Delphi, and the second half of the walk is alongside a cliff with an amazing view of the valley under Delphi. The proprietors were very kind and helpful, and the breakfast was quite good! For the price this hotel exceeded our expectations. We had a very basic room but it was clean and quiet. The staff were very attentive. The shower was hot and the heating worked well. Cute place with kind and accommodating owner. Room was warm (it was the winter) and shower was nice and hot! 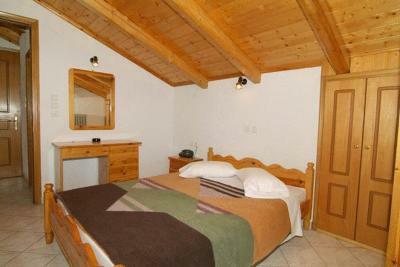 Very friendly greeting, nice room and great views. Internet worked well, breakfast was fine, view was magical. Hotel Orfeas This rating is a reflection of how the property compares to the industry standard when it comes to price, facilities and services available. It's based on a self-evaluation by the property. Use this rating to help choose your stay! 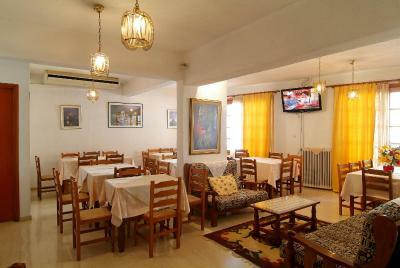 One of our top picks in Delphi.Hotel Orfeas is situated at a quite area, only 650 feet from central Delphi. 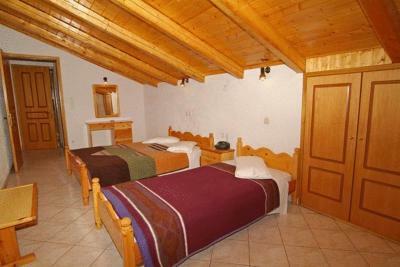 It is a family-owned hotel with rooms with magnificent views. 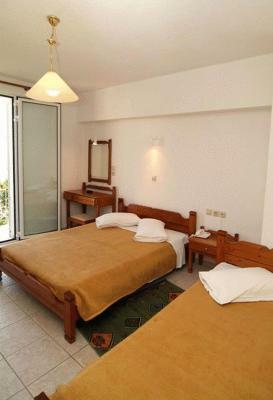 Accommodations at Orfeas consists of simply furnished rooms with air conditioning/heating, private bathroom with shower and TV. The hotel Orfeas provides a breakfast room. Parking is available right at the front of the hotel, while restaurants and stores are only a short walk away. When would you like to stay at Hotel Orfeas? 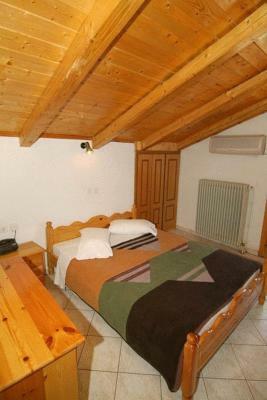 The room has 2 single beds or 1 double bed. It is equipped with air conditioning and a TV. 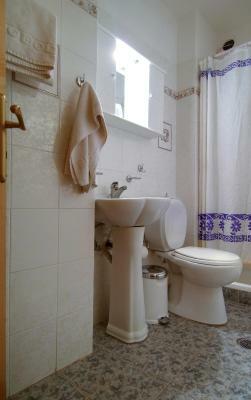 Some units of this type are open plan and others have 2 adjoining rooms. 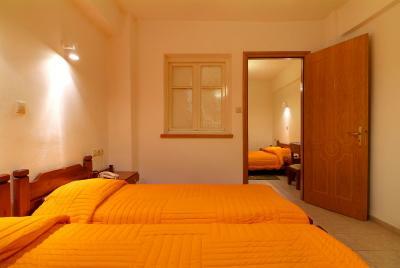 The room has 3 singles beds or 1 double bed and 1 single bed. It is equipped with air conditioning and a TV. Some rooms include a fridge. House Rules Hotel Orfeas takes special requests – add in the next step! All children under 12 years are charged 20 % of the room stay per night for extra beds. Hotel Orfeas accepts these cards and reserves the right to temporarily hold an amount prior to arrival. 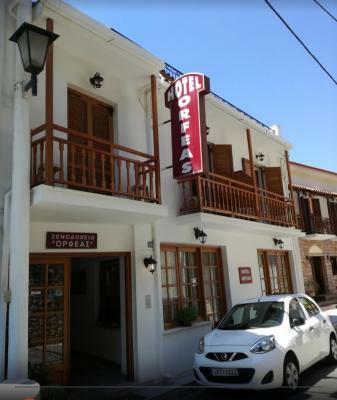 The owner was delightful, he welcomed us like old friends, recommended us a special restaurant and also offered us a choice of rooms- we had emailed ahead explaining that our daughter was celebrating her birthday during our holiday and we were offered rooms with a fabulous view. We were also offered a slightly later check out to give us enough time to enjoy the site and museum. Breakfast was fabulous, lots of choice, and our family loved the Greek yoghurt and sour cherries. We had a great nights sleep- the hotel was quiet and beds comfy and everything was spotlessly clean. It was also easy to park for free on the road and we could pull the car outside to unload and reload our bags. I would recommend Hotel Orfeas without reserve. Wonderful host, he saved a parking space in front of the door for us and recommended a nice place for dinner. 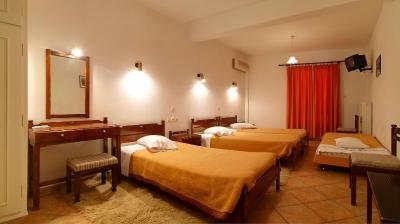 Facilities are dated but comfortable and clean. Great view over The Valley from room balcony. Good breakfast. Great value for its price. Beds were hard but clean. Room had lots of electrical plug ins and decent wi-fi. Owner/staff was helpful but breakfast coffee/tea lacking. One of the best stays I have ever had through Booking.com. The owner of the hotel saved a place in the street for our car parking, provided a better room than we initially reserved with a perfect view to the mountains and sea. Moreover, the breakfast was really nice and tasty with lots of choices. 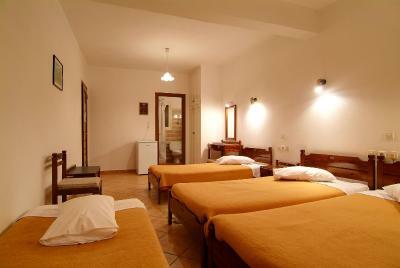 In general, the stay at Hotel Orfeas exceeded even high expectations. Bed was a bit hard. 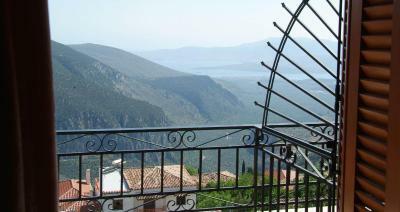 View over the mountains and Corinth bay was outstanding! 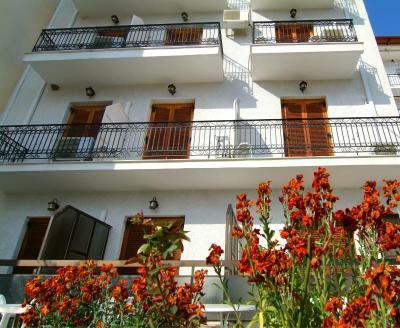 Nice balcony and 10 min walk to Delphi ruins. Good breakfast and location with street parking just outside. Value for money, reccomended! Splendid view! Good breakfast! all was perfect, great value for money. 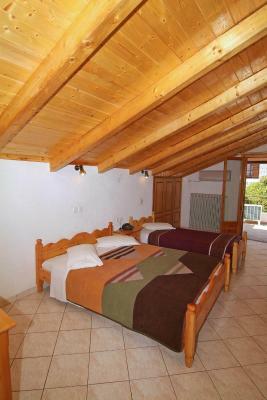 Excellent accommodation at a decent price. Certainly surpassed my expectations. Really very decent. Near the center, but very quiet place, close to archaeological sites. the breakfast was a bit lacking for me - but i'm a bit fussy so I didn't eat my money's worth. If you're not, it's probably cool. Also, the walls are a bit thin, either that or the kid was screaming b----y m----r which is probably true. 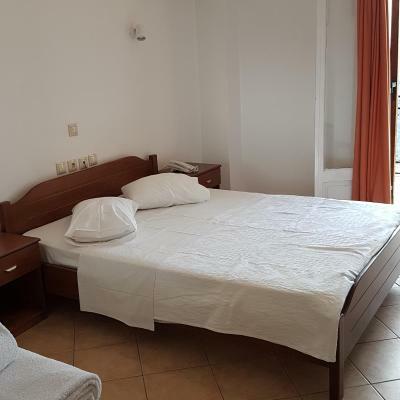 Firstly, I normally stay in hostels mixed dorms so for me honestly it was great - the beds were large & comfy enough, extra blankets in the cupboard or you had the option of heating. There was a TV. The wifi worked well for me. The bathroom shower was a little small to get into (I fit into it fine but I'm just wondering how others may see it as a bit problematic) I personally had a view overlooking Metora which was nice but i mean... you should be going to Delphi ruins to get an actual view anyways. ---- The breakfast consisted of eggs, orange, juice, coffee/tea, bread, cheese, ham and depending on your booking was included or you could pay a bit extra. The BEST part about this accommodation, however, was the Owner. He went out of his way to help me out with trips I could do & see. He let me store my luggage and use the reception while waiting for my bus out. I stayed for two nights it was great. We had a pleasant stay! Great value! 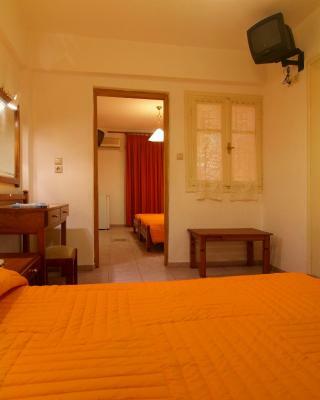 Our room is basic but it has everything you need for a short trip in Delphi. Parking was easy and highly accessible to restaurant and shops. The host is super lovely and again, we were impressed with the breakfast they provided. No complain! Great value! The owner is a great friend, philosopher and guide! He has years of experience in dealing with strangers and outlandish people like me. A big thanks to him! Broken tile on entrance to bathroom. Strange shower. Designed as a tiny sit down bath, but equipped with a shower. The uneven floor of the bath, due to the seat combined with nowhere to fix the shower on the wall made showering awkward. Lastly, though I must stress not specific to this hotel, is difficulty parking. The streets are narrow and not designed for cars, so it's hard to find a parking space. The same for any other place too, unless they have private parking. Good value friendly hotel. Requested a specific family room and was pleased to get it. 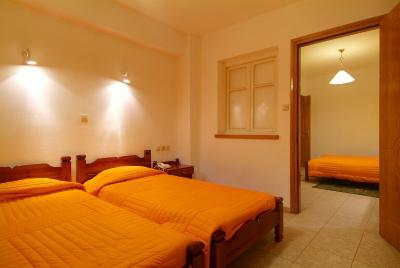 Ideal for families as this room has a partition, making really 2 bedrooms, which gives some privacy to the parents. Nice balcony from this room too. Plus just outside the room was a table and chairs situated in the wide corridor - which I used as extra space occasionally. Breakfast was nice. Yoghurt and cherry was the best. Had a lift, so although only one floor it was nice not to have to drag our case up stairs. Good location. Easy to walk to sights.